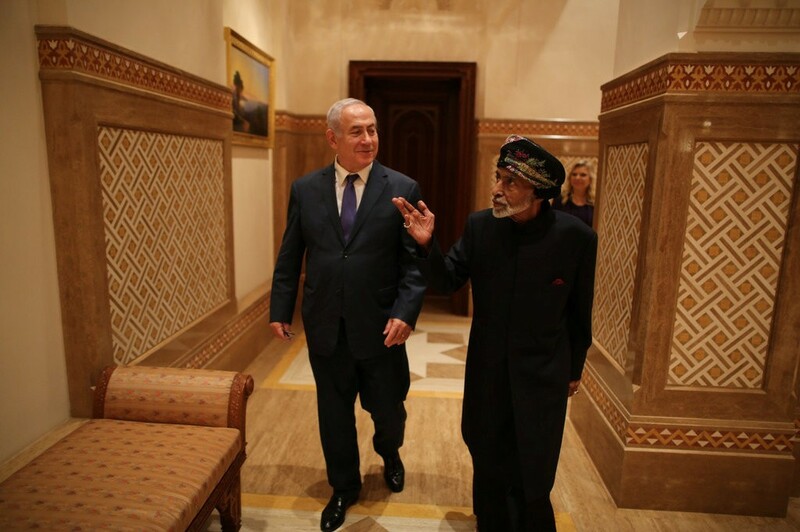 Prime Minister Benjamin Netanyahu talks with Sultan Qaboos bin Said in Oman on Thursday, the first meeting between leaders of Israel and Oman in 22 years. Credit: Israeli Prime Minister’s office, via Reuters. Also on Monday, an elementary school in Baltimore County canceled its production of “Aladdin, Jr.” over concerns about the plays’ negative depiction of Arab culture. The complaint was originally raised by the mother of a fourth grader at the school and a lawyer at the Council for American-Islamic Relations. The parent said that her son came home upset and crying because of the stereotypes in the play. Danette Zaghari-Mask explained, “In the play, Arabs are described as barbaric — those are the exact words that are used.” While some parents support the school’s decision to choose a less controversial production, others wish the school had asked for their input; one parent complained that, “They just made this decision by themselves and it’s kind of disappointing.” The school will perform “The Young Fables” instead. On Tuesday, Vice President Pence stood by Trump’s assertions that there are Middle Easterners attempting to enter the United States with a caravan of migrants traveling from South America. Pence said in an interview with the Washington Post, “Well, it’s inconceivable that there are not people of Middle Eastern descent in a crowd of more than 7,000 people advancing toward our border.” According to Pence, about ten people stopped by the border every day are countries “other than Mexico,” a phrase which Pence interprets as referring to Middle Eastern states. His comments followed a tweet on the issue by the president on Monday. On Wednesday, Saudi Crown Prince Mohammed bin Salman made an appearance at the three-day Future Investment Initiative conference in Riyadh. In his first public comments since the Saudi government acknowledged that journalist Jamal Khashoggi died in their Turkish consulate, he said that those responsible for the murder will be punished and “in the end justice will prevail.” The prince has consistently denied accusations that he orchestrated the killing himself. MBS emphasized that he would not allow this incident to interfere with the Saudi-Turkish relationship. Turkish President Recep Erdogan has called the murder “savage” and “political” and has blamed Saudi officials, although he stopped short of blaming the crown prince. Meanwhile, Germany is cautioning its citizens to be careful about their social media activity when visiting Turkey. The German foreign ministry says that “in individual cases it’s enough to share or ‘like’ another person’s comment” for people to get into trouble. Critical comments about the Turkish government in even private comments, direct messages, or texts are subject to viewing and can lead to prosecutions. Numerous German citizens, including several who also have Turkish citizenship, have been arrested in Turkey in recent years on allegations of supporting terrorist groups. On Friday, Israeli Prime Minister Benjamin Netanyahu returned from an official visit to Oman, the first such visit by an Israeli prime minister in 22 years and a sign of closer ties for Israel with an influential Persian Gulf nation that has long acted as a regional go-between with Iran. The meeting late Thursday with Oman’s ruler, Sultan Qaboos bin Said, was publicized by both sides only once Netanyahu had landed back in Israel. The two countries do not have formal diplomatic relations, and Oman closed an Israeli trade office in Oman in 2000 because of animosity over the second Palestinian uprising. For Netanyahu, improved relations with Oman could offer a back channel for communication with some of Israel’s enemies in the region. Located at the foot of the Arabian Peninsula, Oman has carefully managed to maintain cordial relations with countries that are adversaries, such as Iran and Saudi Arabia. It hosted secret talks between Iran and the United States in 2013 that paved the way for broader negotiations that ultimately led to the now-scrapped Nuclear Deal.